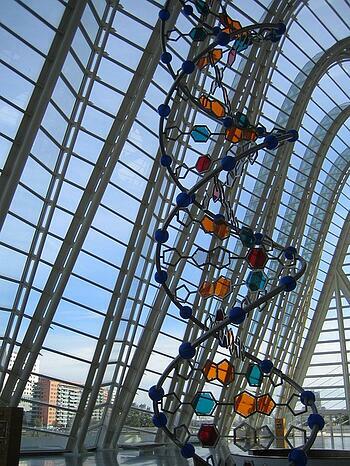 UC San Diego researchers will join the collaborative research initiative, which is aimed at better understanding the structure of DNA. Specifically, researchers will study nuclear organization, and the health effects of changes in this organization over time. The program will also emphasize and facilitate investment in future technology development, including new chemical, biochemical, and imaging tools. UC San Diego researchers will receive one quarter of the program’s funding, lead the program’s organizational hub, and contribute to two additional research initiatives. Other 4D Nucleome Program initiatives include a five-year, $8.6 million grant to UC San Diego and Ludwig Cancer Research for the creation of the Nuclear Organization and Function Interdisciplinary Consortium, and a five-year, $3 million grant for Imaging Tools. UCSD research teams will create genetically encoded metal nanoparticles and novel paints that will expose specific genes in the DNA and allow researchers to see their nuclear structure. The analysis and storage of these visual genome atlases will be facilitated by the program’s organizational hub. Researchers from UCSD occupy some of the world’s leading medical research facilities, as well as a host of other prominent life science laboratories. If you are interested in making connections with active researchers from UCSD and its many well-funded departments, you can attend the 41st Semiannual Biotechnology Vendor Showcase™ Event at UC San Diego on February 11, 2016. 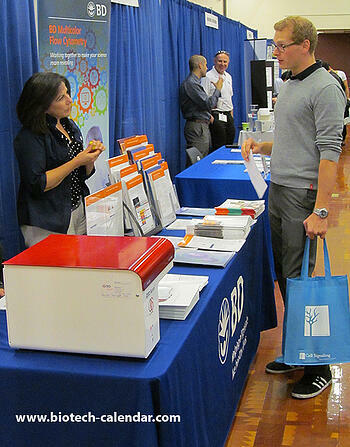 Last year, the Biotechnology Vendor Showcase™ Events at the University of California, San Diego attracted 929 attendees from 54 different research buildings and 61 on-campus departments. This event is a unique opportunity for UCSD researchers, lab managers, and life science professionals to learn what’s new in the world of lab equipment, and how it can benefit their important research.